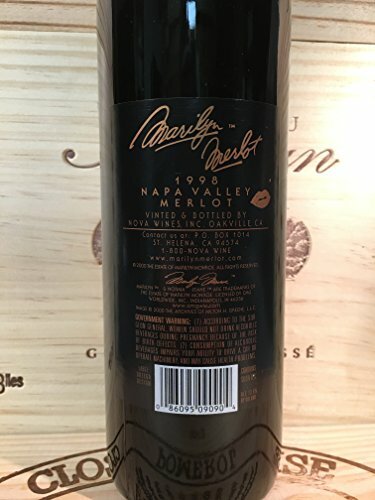 The 1998 Marilyn Merlot Napa Valley Merlot 750 ml is from the Napa Valley region of California. The photograph on the 1998 Marilyn Merlot is a departure from the "Hollywood" Marilyn, revealing a softer, more innocent view. While experimenting with costumes and make-up for "The Prince and the Showgirls", photographer Milton Greene shot this pristine "graduation picture" at Marilyn's request.